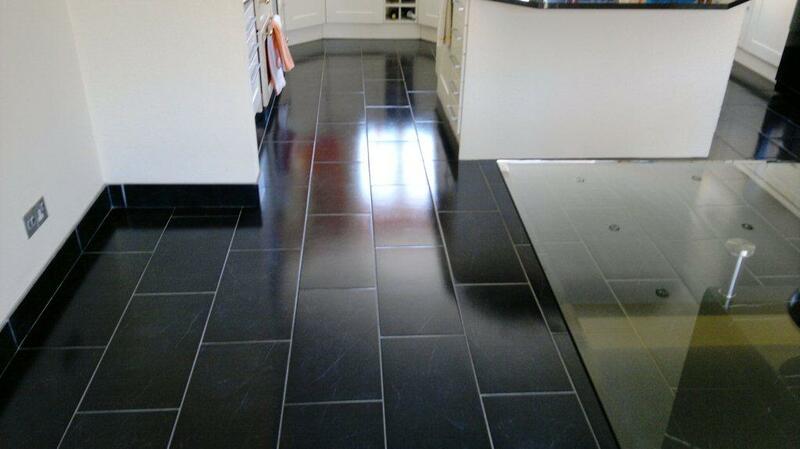 This was a straightforward black slate tile clean and seal in a large kitchen of a house in Portsmouth, the tile and grout were in good physical condition and just needed of a deep clean. 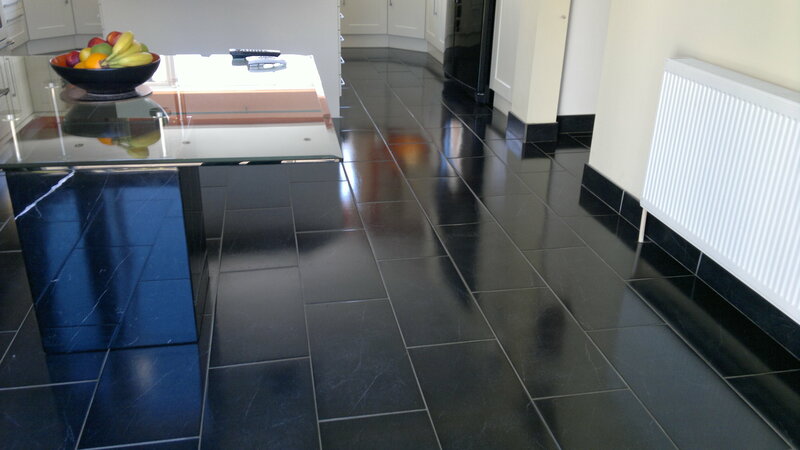 The first step was to give the tiles a really good clean using a dilution of Tile Doctor Pro-Clean which was left to dwell on the tile for a while before being scrubbed into the floor using a rotary machine fitted with a black pad. 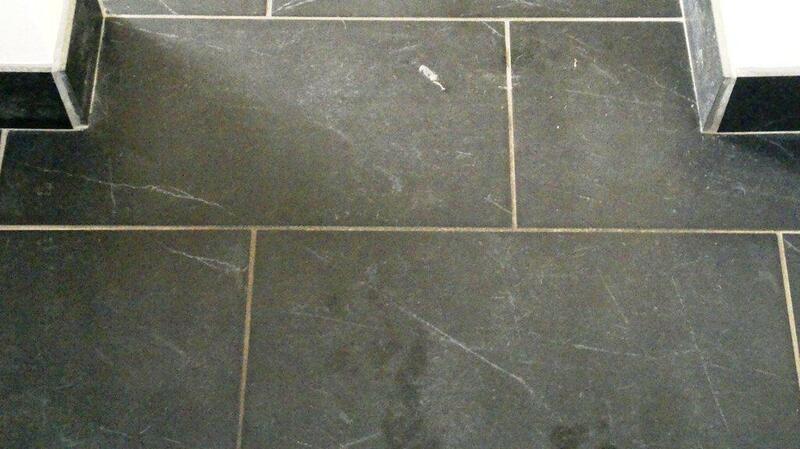 It was a large area so we worked in sections and used a stiff brush along the grout lines to get them clean. 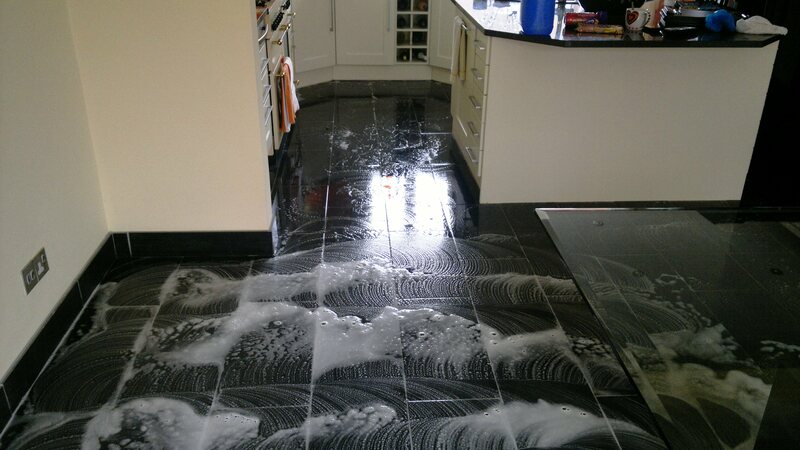 The soiled cleaning solution was removed using a wet vacuum before washing down the area thoroughly with clean water; any stubborn marks were revisited with a repeat of the same process until we were happy the tiles were clean. 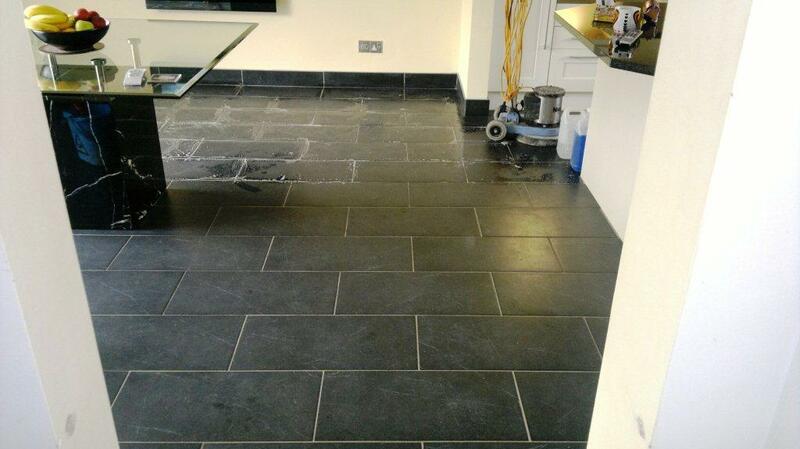 We left the floor to dry overnight and came back the next day to seal it using Tile Doctor Seal and Go, a highly recommended sealer for Slate which provides good stain protection with a low sheen finish, slate is quite porous and it took five coats before it was fully sealed. 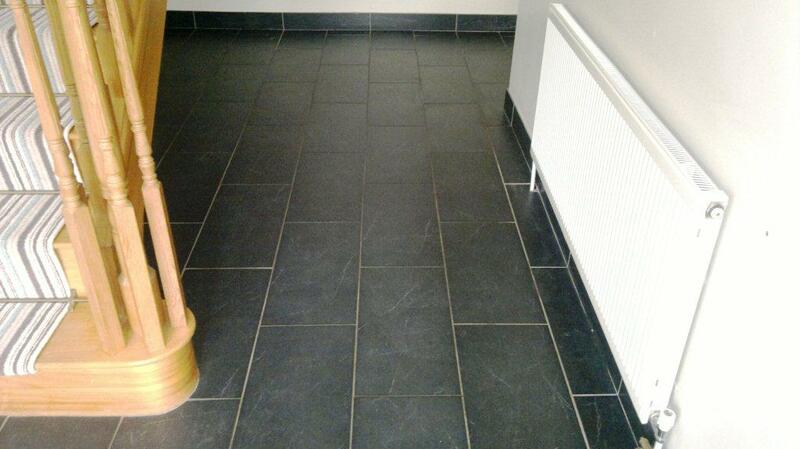 The black slate looked amazing when we had finished, the customer was certainly happy with the result.